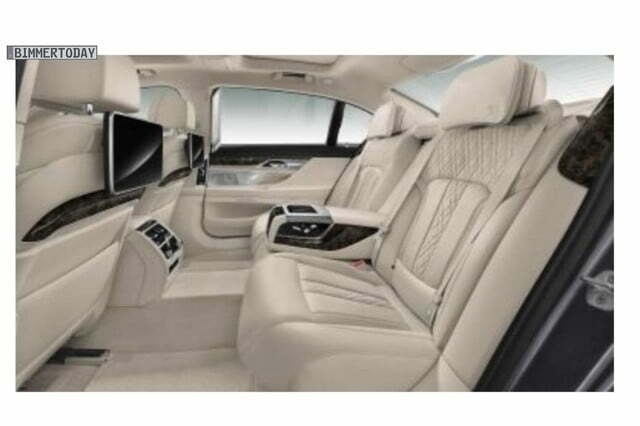 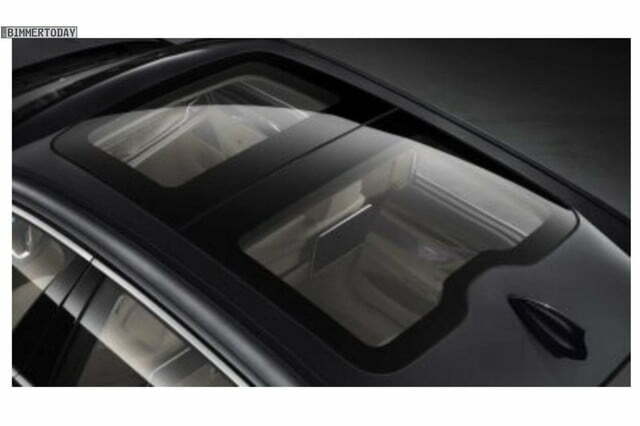 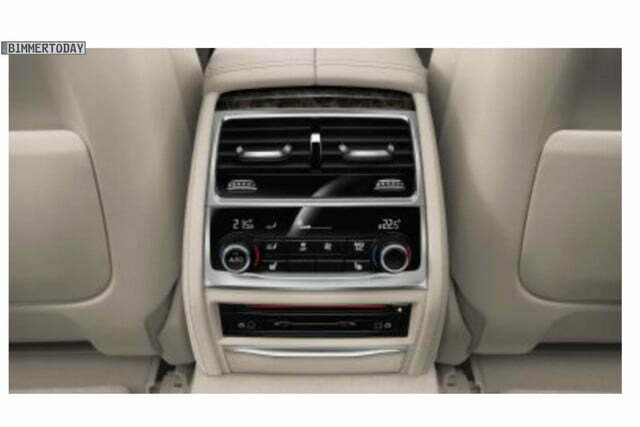 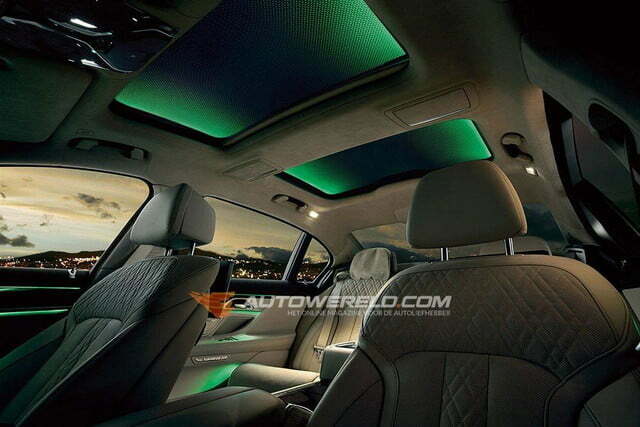 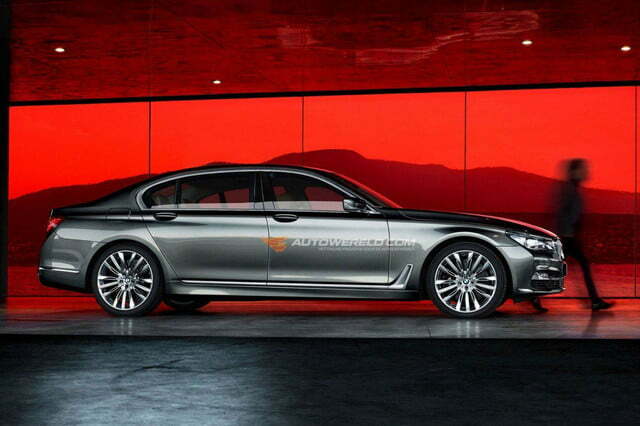 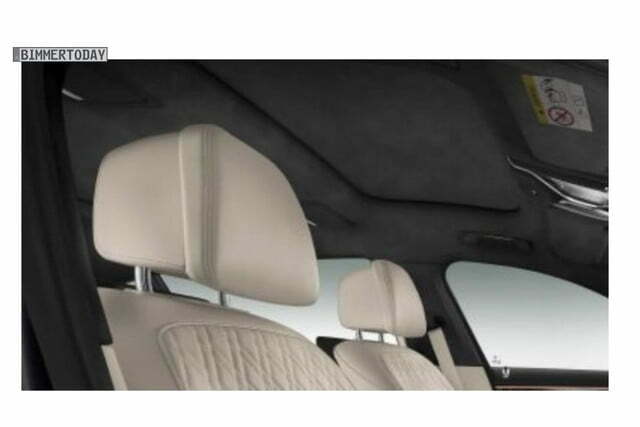 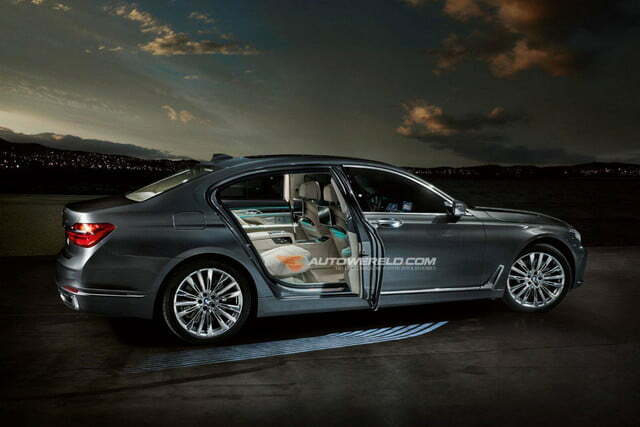 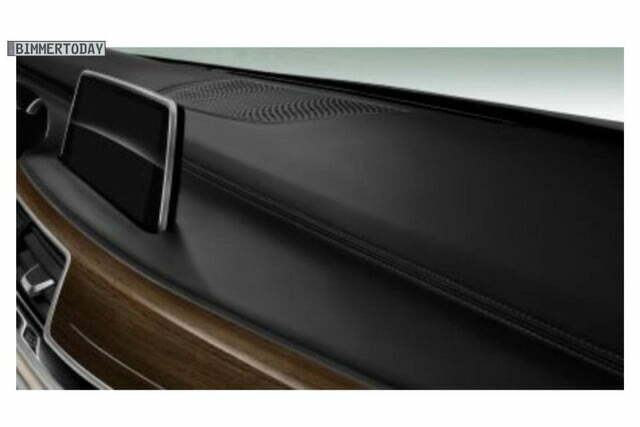 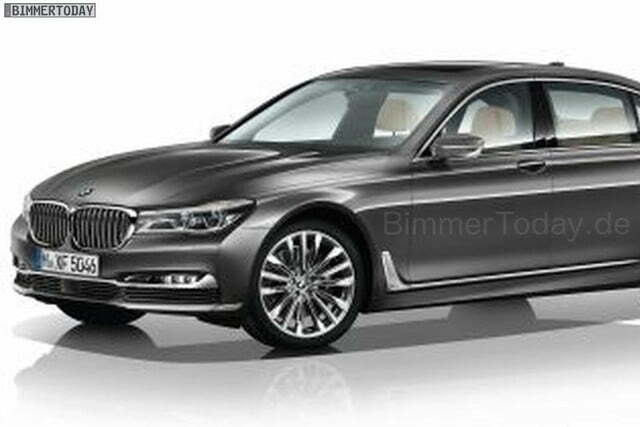 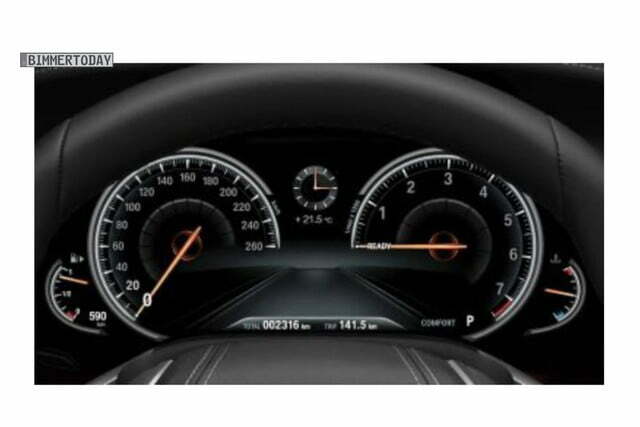 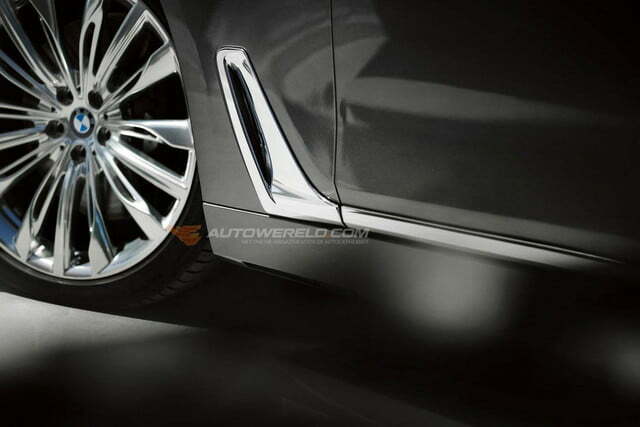 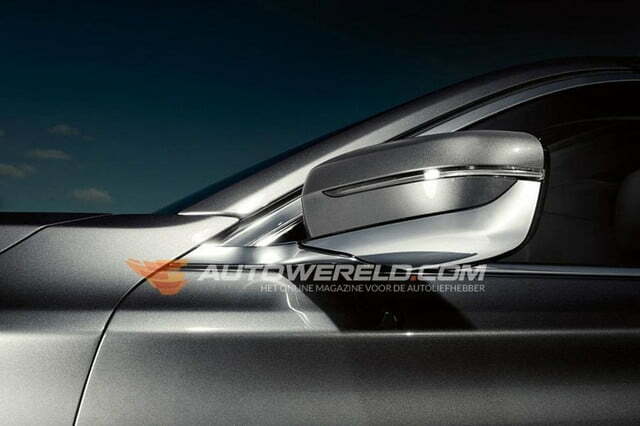 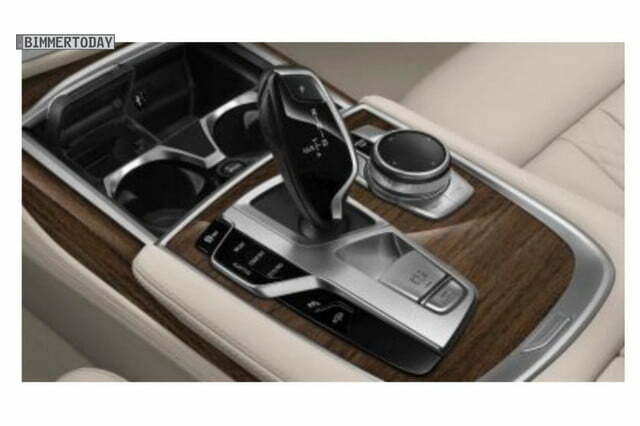 A handful of leaked images have prematurely revealed the all-new 2016 BMW 7 Series. 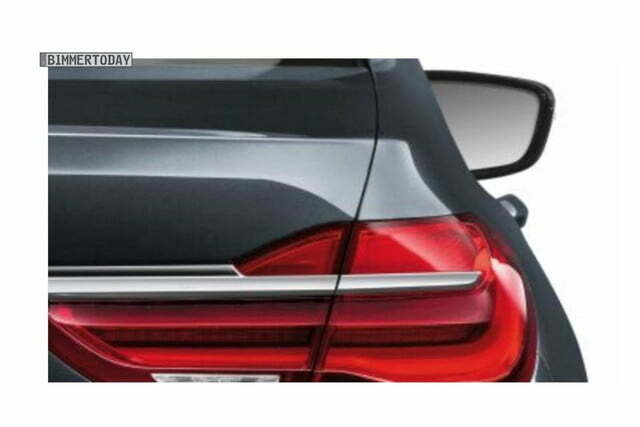 The images from AutoWereld and BimmerToday, show a full view of the car ahead of its official debut later tonight. 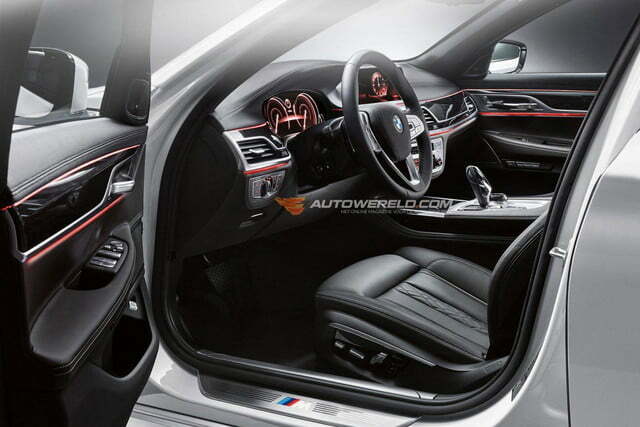 Undeniably more of an evolution than a revolution, BMW’s next flagship will be built on a brand new modular platform made out of lightweight materials such as aluminum and carbon fiber-reinforced plastic and, as a result, it will weigh nearly 300 pounds less than the outgoing model. 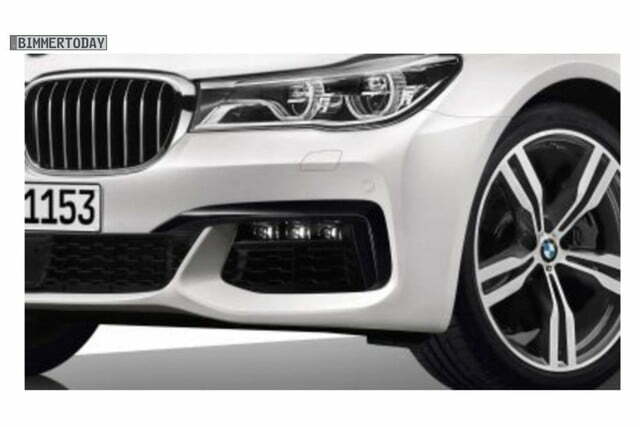 Design-wise, it falls in line with other members of the BMW lineup thanks to elongated headlights that stretch into the kidney grille, air breathers behind the front wheel arches and LED headlights. 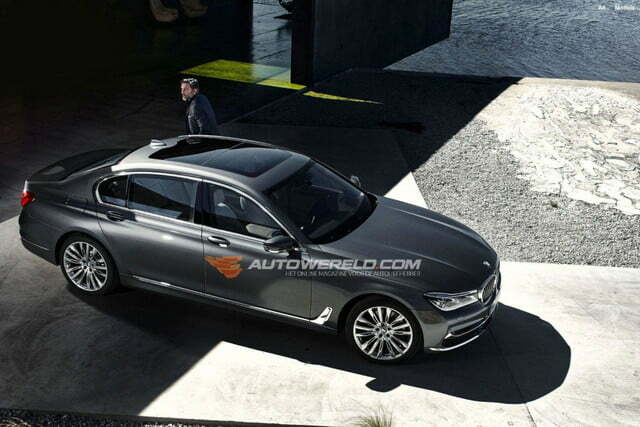 BMW will again build both short- and long-wheelbase variants of the 7 but, interestingly, BMW Blog reports the shorter model will not be offered in the United States. 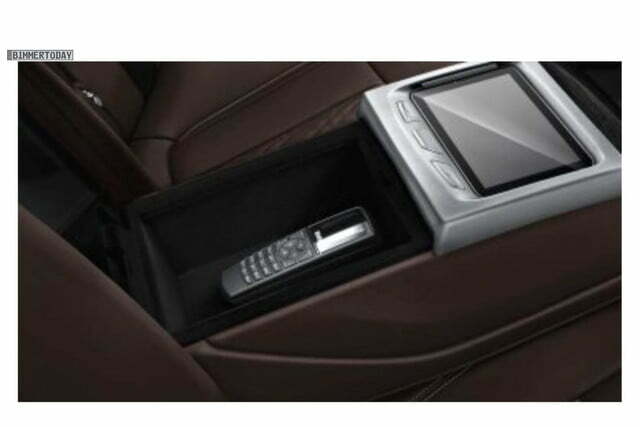 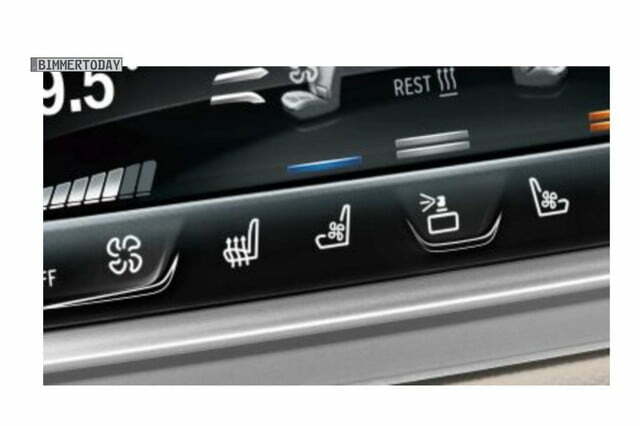 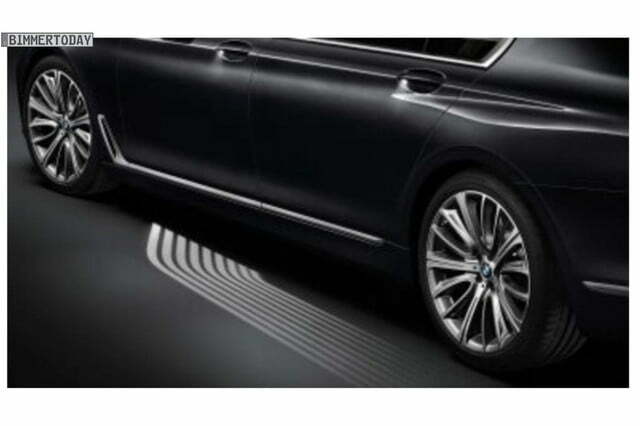 The 7 will inaugurate BMW’s remote-controlled parking technology. 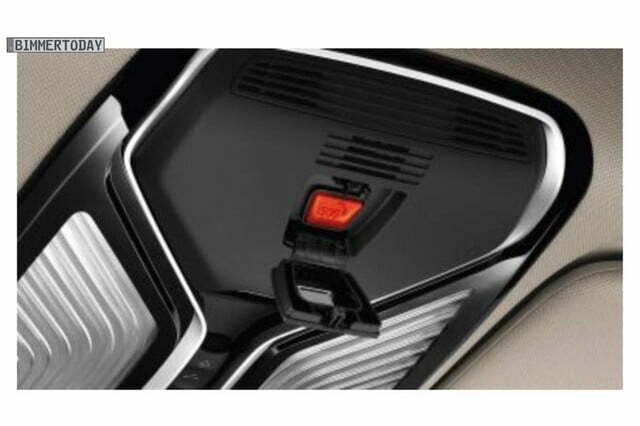 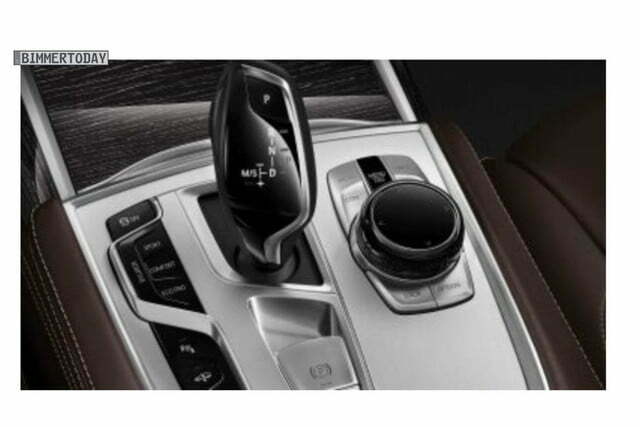 Most likely offered as a costly option, the feature will allow 7 owners to maneuver the sedan in and out of tight parking spots by simply using buttons located on the key fob to control the gas, the steering and the brakes. 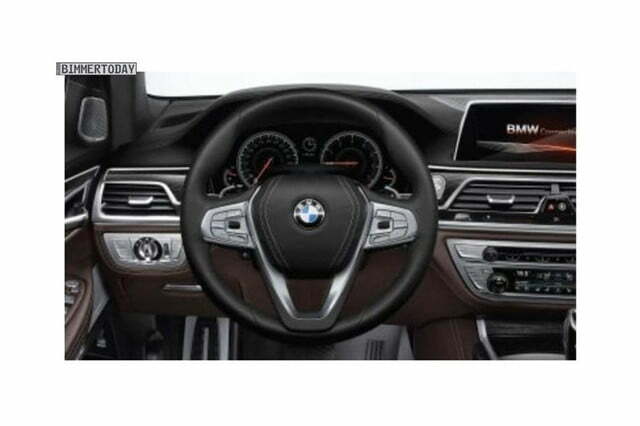 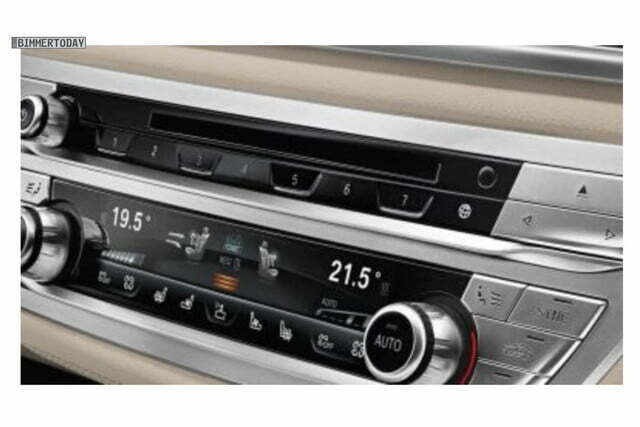 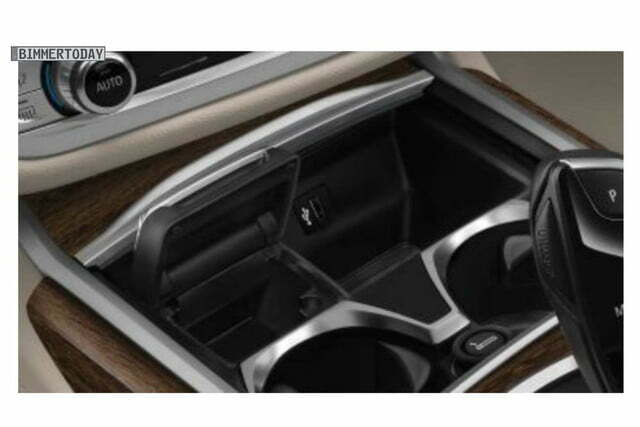 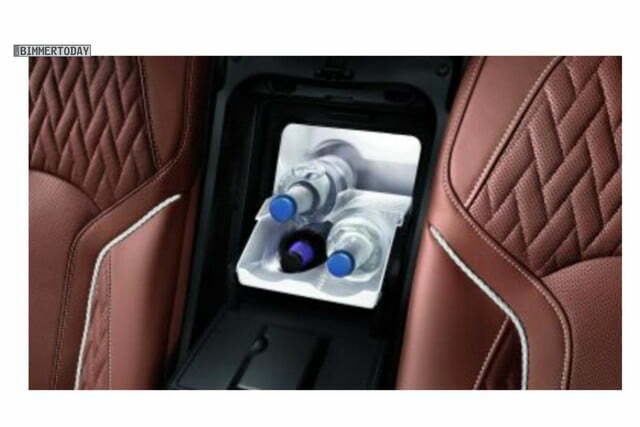 Inside, the sedan will usher in the next generation of BMW’s iDrive infotainment system, which passengers will be able to control using a controller knob on the center console, a touch screen, and hand gestures. 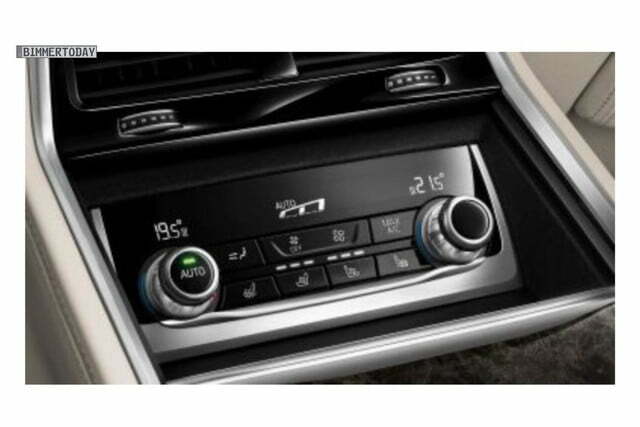 Mechanically, the next 7 will get the same straight-six mill as the 2016 340i that was introduced a couple of weeks ago. 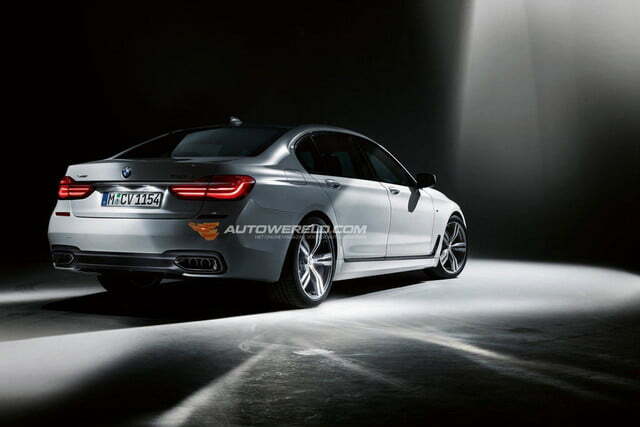 A 460-horsepower V8 will likely be the volume engine, and BMW will also offer the 7 with a 600-hp 6.6-liter V12 engine designed with input from Rolls-Royce. 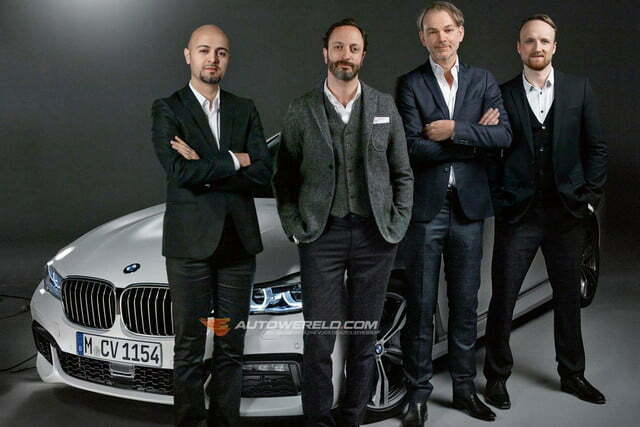 Finally, German media outlets report that a M7 will join the lineup for the first time ever, but BMW has not confirmed the rumors. 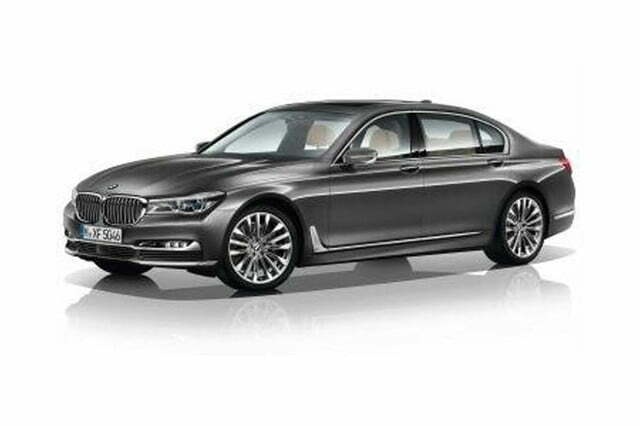 Stay tuned, the 2016 BMW 7 Series will be officially unveiled later tonight. 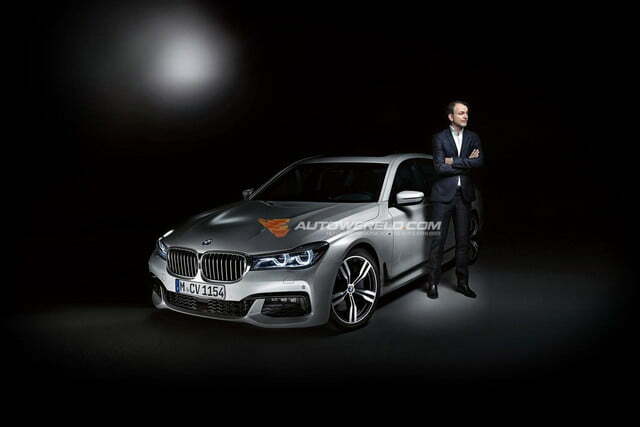 It will greet the public for the first time in September at the Frankfurt Motor Show, and it is tentatively scheduled to arrive in Bimmer showrooms across the nation early next year.